Meet Gaurav. He is the lovely 11 year old who has been fighting a rare blood disorder called Aplastic Anemia. His platelets, hemoglobin, WBC all are going down. 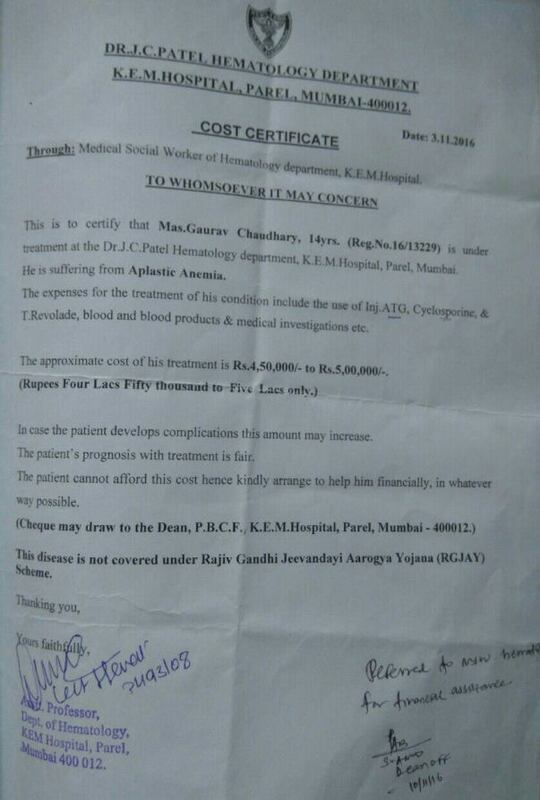 According to doctors, there are a couple of options available which are expensive for his parents to bear the expense. His father is a small time shopkeeper in a village in Darbhanga district of Bihar. 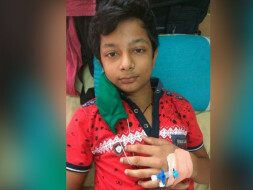 He is a distant relative to my wife and I just came to know about the family's plight, who are visiting Mumbai for Gaurav's treatment in KEM Hospital. As soon as I saw him, I said to myself that I would try my best to help this child recover soon. So, that he gets back to his normal life and his family too is relieved of this pain they are going through. I am sure you will extend a helping hand to make this possible.